Welcome to another Top Ten Tuesday as hosted by the lovely peeps at The Broke & the Bookish. Today’s topic is about completed series that I have yet to finish. And let me tell you, I am ashamed I haven’t finished these yet. Harry Potter series by J.K. Rowling – I’m still working on my first read through of this series, and I know it’s shocking to have not read this series at this point, but I am enjoying it so far and I hope to finish it in the upcoming year or so. Daughter of Smoke & Bone trilogy by Laini Taylor – I want to finish this trilogy sooooo bad, and I’ve been reading the second one for a week or so now, but other books have been getting in my way. I will read it! Soon! The Mortal Instruments series and Infernal Devices trilogy by Cassandra Clare – I AM SO ASHAMED I HAVEN’T FINISHED THESE YET. Sad face. I’m working on it, though, and I hope to finish all of them either by the end of this year or sometime early next year. 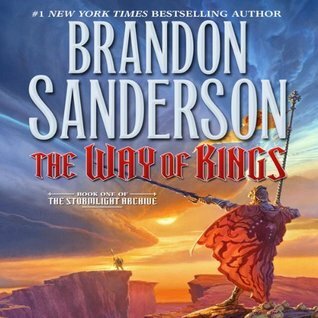 The Mistborn trilogy by Brandon Sanderson – I am loving the first book of this trilogy so far and I really hope to finish it by the end of the year, but these books are kind of chunky and there’s a lot to process so I hope to finish them by early next year. The Grisha trilogy by Leigh Bardugo – Now that I have all three in paperback I can marathon them, which is what I’ve been planning to do. SO! Expect reviews… EVENTUALLY! This is a pretty popular/well known and loved trilogy so I really want to see what it’s all about. Vampire Academy series by Richelle Mead – I debated for a while on just giving this series away, but many people told me to just give it another try, that it does get better, so I’m going to try reading it again probably next year. I loved it when I started it years and YEARS ago, but after time it just didn’t impress me. So we’ll see what happens upon rereading it. The Chronicles of Narnia by C.S. Lewis – I’ve read The Lion, the Witch, and the Wardrobe when I was ten years old… that was fourteen years ago, so I need a refresher for this epic series. I started it a while ago and never got through it because, frankly, they’re hefty books and I have them in a bind up so it makes it harder… Anyway, they will be read eventually! The Lord of the Rings trilogy + The Hobbit by J.R.R. Tolkien – Yes, I know, it’s a travesty, really. But I started it and got about four chapters in and nothing really happened… Or barely began to happen, so I’ll have to keep going along. I know it’ll get better it’s just those first few chapters were kind of eh. The Across the Universe trilogy by Beth Revis – I bought these books for husband and was intrigued in them, myself, but I never actually picked them up to read them. I must remedy this! Sci-fi, romance, cool things? Yes please! So there you have it, some series and trilogies that are complete that I haven’t finished yet. But I will eventually! I swear it! What are some series you’ve started that you haven’t finished yet? Do you plan on finishing them? Let me know! 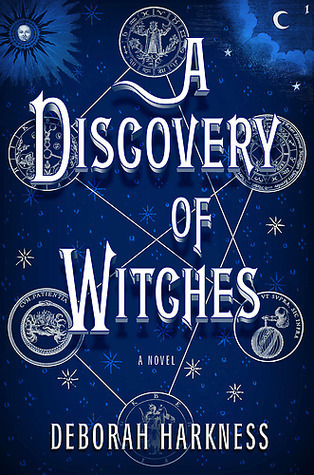 This entry was posted in Top 10 Tuesday and tagged adult, books, fantasy, finished, middle grade, read, reading, series, top 10 tuesday, top ten tuesday, ya, young adult. Bookmark the permalink. Hmm… Well, I haven’t read the sequel to Half Bad yet, nor any of the other Gallagher Girls books apart from the first one.